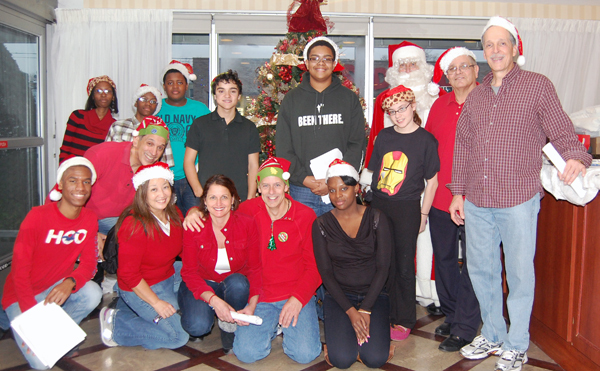 December 08, 2012 – Flatlands Lions and Leos made their annual Holiday visit to the Crown Nursing and Rehabilitation Center in Brooklyn. 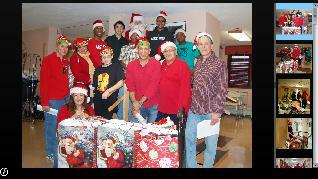 Residents were given presents and were regaled with Christmas carols as the group went from floor to floor and visited all the rooms. The residents were overjoyed to see that Santa was on hand ( aka Lion Ed Antonio), and were greeted with his signature ” Hey, how are ya?” in lieu of “Ho,Ho, Ho.” One of the residents proudly told Santa that she was born one hundred and two years ago (back when Santa really used a sleigh!) 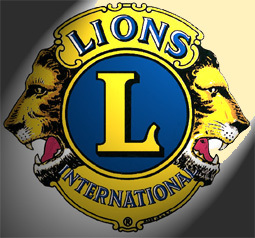 It was a wonderful day for the residents, Lions and nursing home staff, who helped coordinate the visit.